The roof is one of your home’s component that directly takes the beating from mother nature. Whether it pertains to residential roofing or commercial roofing, damages and deterioration may occur due to environmental setbacks. Apart from fierce wind and summer heat, snow and ice are two of the most damaging elements for a roof. Hence, a regular maintenance should be done by a professional roofing contractor if you want to maintain the stability of your roofing system and extend its usable lifespan. To fully comprehend the impact of snow to your roofing, here are some of its known effects. You must understand that snow and ice can damage your roofing in several ways, especially for residential roofing. According to experts, it takes at least 2 feet of old, compressed snow or 4 feet of fresh snow to stress the supporting structure of your roofing system. In areas where snow is heavy, the accumulation of snow is proven to cause destruction in a form of a collapsing roof. Although your roofing system is designed to accommodate greater weight, you should not take chances. If you start noticing some signs of a potential roof collapse, you should call professional roofers for immediate inspection or repair when necessary. Similarly, you may also want to invest in snow cleaning or removing materials that you can use during a snowstorm or winter season. You can try to check rakes or even invest in snow melting system for your roofing. Apart from damage to your roofing system support structure, snow can also cause some issues with your gutter system. Although hanging icicle in the gutter is fun to watch, they are signs of trouble. Ice along the eaves of your property can greatly damage your gutter. Similar to the above-mentioned issues, ice on gutters could also stress the support of the gutter. Similarly, when you allow ice dams on your roofing, once it melts and refreezes at the eaves, it will likely contribute to the damage of your shingles, as well as and prying of gutters. Yes, you read it correctly. Snowmelt can actually cause a flooding inside your home not just roof leak. When the temperature rises and you still haven’t removed the accumulated snow on top your roofing, once it melts, it will surely leak through tiny cracks on your property’s foundation, which will eventually damage your walls and causing the flooding of your basement. With a repeated cycle over many years, your foundation will be undermined and might cause a total property collapse, depending on the severity of the damage. The ones mentioned above are some of the common impact of snow on your roofing structure. For that matter, before the winter strikes, it would be good to prepare your roofing system for snowfall through roof inspection, repair, or even roof replacement, when needed. 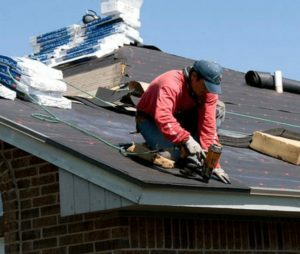 Homeowners of New Jersey should also consider the suggestion of having a professional roofing contractor in NJ to evaluate the preparedness of your roofing system for the coming winter. Here at Northern New Jersey, property owners can surely count on the Proven Contracting to prepare your roofing system for the worst snowfall. For immediate concerns and resolutions, you may contact Proven Contracting of Bridgewater NJ, Proven Contracting of Long Valley NJ, Proven Contracting of Randolph NJ, or Proven Contracting of Hackettstown NJ, whichever is most convenient for you. To know more of our other services, including skylight, windows, siding, gutter services, contact us today!